18" rims will fit in the gt 86? I have a toyota corolla hatch 2013. I was looking at putting the toyota 86 gts 17" rims and tyres on. Will they fit? 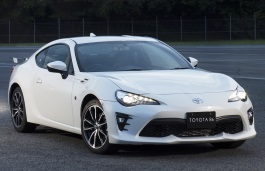 g'day mate, will Toyota sports car model 86 wheels fit my 2013-2014 Toyota Camry ? Hi,Danu,can you show me your oem wheel size?I can help you confirm it. Looking for 86GT spare to fit boot. Possibly a 16"x5"x5 bolt rim will suit. The overall width of a fitted tyre should be no more than 6" to suit boot space. 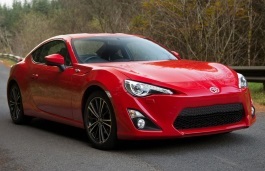 H, my son wants to change his standard Toyota 86 rims for the GTS ones. That's going from 205/55/16 to 215/45/17. Will these fit ok? hi i want to buy some xxr 527 18x8,75 with 235/(45? )R18 wil this fit? Hi,Martijn,Can you show me the offset? Can someone please just tell me the "Rim width" on the standard GTS 86 215/45R17 Wheel. (not the Tyre)? And 17x8 +40 rear with 25mm spacer fit ok? Reason for spacer is i need to convert the stud pattern, so my main concern is if this setup with cause the wheels to stick out or is there any problems i may face with this set up? I am prepared to roll the guards if need be. Hi,Nic,What the offset of these wheels?You said you need to convert the stud pattern,Does you have confirm the offset?And In fact,Converting the stud pattern is not a recommand way to fit wheels,It is not safe,especially if you have not buy good quality spacer. I have a Toyota Corolla Sedan 2015. I was looking at putting the Toyota 86 GTS 17" rims and tyres on. Will they fit? Hello I was wanting to use a pair of "Work Meister S1 3P" wheels they are 18 x 9.5 will these fit for front and rear?...also what is the offset I should use? So, I possess a 2018 Toyota GT86 with stock tires and wheels (tires: 215/45/R17. Rim: 17x7 ET48. PCD: 5x100). -> MICHELIN PILOT SPORT AS 3 PLUS 245/40/R17. Can you give me your opinion about what would be the best choice and why?. Hi,André,Based on your current tire size data,I suggest that you can use 245/40/17 is better one.For the tire brand,You can make your own decision.The reason is the diameter of 245/40/17 is 627.8mm and it is very close to 215/45/17(625.3mm/)，You needn't to worry about the suspension. Hi, can i use rav 4 wheels to hilux 4x2 2012 both the same 5 studs? Hi,Joel,What the year of that rav ?And For 2012 hilux,Does the car wheel size is 15''? Hi,Joel,For 2012 hilux 17'' rims,the bolt pattern is 6*139.7,But for 15'' 2011 RAV 4,the bolt pattern is 5*114.3,So,you can't fit it.